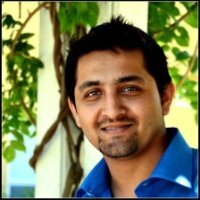 Ameya Kanitkar is lead engineer on Deal Personalization Team at Groupon. Most notably, he architected and built real time analytics infrastructure that powers personalization across web, mobile and email platforms using big data technologies such as HBase, Storm & Kafka. Before personalization infrastructure, he also led the design and development of global message bus infrastructure at Groupon. Ameya holds degrees from Carnegie Mellon University and Pune University.